Welcome to the Kanter and Wishnow Law Firm - David M. Kanter, Esq. David M. Kanter was born in Washington, D.C. and has lived in the Washington, D.C. community his entire life. David earned his Bachelor of Science degree from the American University in Washington, D.C. in 1964. He was awarded a Juris Doctor degree from George Washington University in 1967. David is a member of both the Maryland Bar and the District of Columbia Bar. In addition to his admission to practice before the local courts of the state of Maryland and the District of Columbia, David is admitted to practice before the United States District Court for the District of Maryland, the United States District Court for the District of Columbia, and the Supreme Court of the United States. David began his career as an Assistant Corporation Counsel for the Government of the District of Columbia. 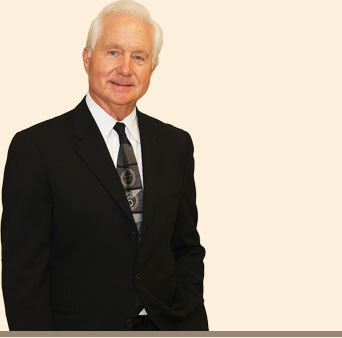 Thereafter, David has been in the private practice of law, having spent more than 40 years at Kanter and Wishnow where he has earned an outstanding reputation for his negotiation and strategic planning skills. David is now of counsel to the firm. David has been an active member of the Washington metropolitan community having served on the Board of Directors of The Holton-Arms School in Bethesda, Maryland, The Washington Hebrew Congregation in the District of Columbia and The Kaufmann Camp for Boys and Girls. David and his wife, Flora, live in Bethesda, Maryland.